There are a handful of major events in the calendar year that are earmarked as celebrations of cinema. 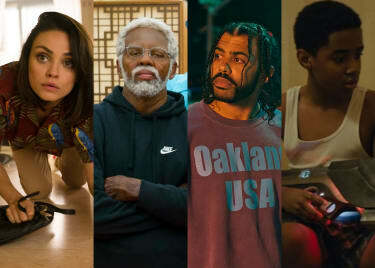 Most are film festivals — from Sundance and South by Southwest (SXSW) to Cannes, Venice and Toronto — where new movies are shown and awards-worthy films are singled out. But once a year, in the desert city of Las Vegas, a different type of film celebration occurs, and it’s upon us once again. CinemaCon takes place April 1–4 at Caesars Palace in Las Vegas. The official convention of the National Association of Theatre Owners (NATO), CinemaCon hosts representatives from the film industry, so they can promote the features that will be coming to theatres in the months and years to come. Often, the first major looks at several highly anticipated blockbusters occur at CinemaCon, and this year is no different. 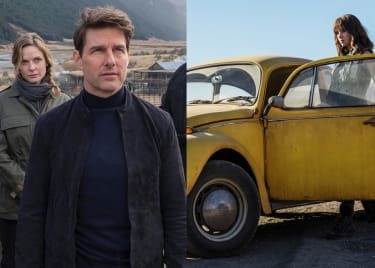 Here are a few of the movies that we are looking forward to learning more about at CinemaCon 2019, before they arrive at an AMC location near you. Are you a huge Bruce Springsteen fan? Then you are going to want to put Warner Bros.’ BLINDED BY THE LIGHT on your radar. A major hit at the Sundance Film Festival in January, Gurinder Chadha’s inspirational drama BLINDED BY THE LIGHT uses the songs of The Boss to tell the story of a British teen who finds release in the blue-collar tunes from New Jersey. 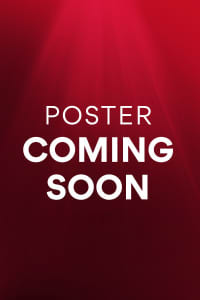 Warner Bros. plans to screen the film in its entirety on Tuesday, April 2, so we will have a reaction shortly after. 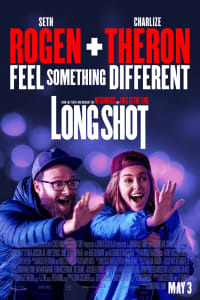 Another film that comes into CinemaCon with some buzz is the romantic comedy LONG SHOT, starring Seth Rogen and Charlize Theron. She plays a presidential candidate who hires a scriptwriter (Rogen), who she once babysit when they were much younger. Along the way, they reconnect emotionally and wring several laughs out of their mismatched courtship. LONG SHOT won an Audience Award at SXSW in Austin, Texas, so we’re very curious to see what all of the buzz is about. 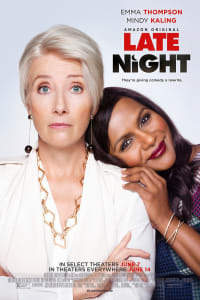 Mindy Kaling is a strong voice in the comedy realm, and she’s taking her talents to late-night television, where she plays a new writer for a fictional TV program called “Late Night.” Yes, it’s a riff on the Lettermans and Kimmels of the world, but Kaling cast Emma Thompson as her talk-show host, and these two look like a formidable pair. The movie will screen Wednesday, April 3 in Las Vegas. Did you enjoy the Queen story in BOHEMIAN RHAPSODY? Then pull up a piano bench and get ready for the life story of Sir Elton John. 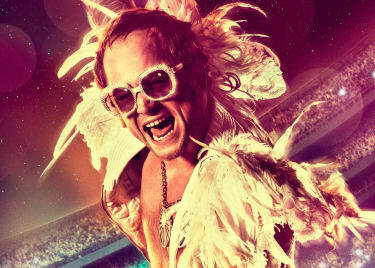 ROCKETMAN casts Taron Egerton (KINGSMAN) as the singer/songwriter behind “Tiny Dancer” and “Goodbye Yellow Brick Road.” It’s a biopic that has the approval of Sir Elton, and it’s expected to be a major part of Paramount’s presentation. Most of the presentations at CinemaCon are surprises, as studios guard which features they plan to bring to Vegas and show off. But the upcoming TERMINATOR: DARK FATE is expected to be on Paramount’s agenda, hopefully with a first look at both Linda Hamilton and Arnold Schwarzenegger resuming their iconic roles in the franchise.